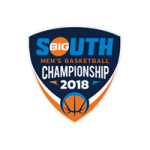 The official seedings and pairings for next week’s Big South Conference Men’s Basketball Championship are now finalized, and Radford – predicted to finish seventh in the preseason poll – is the No. 2 seed based on its current RPI of 140 through all college basketball games played of Feb. 24. A second-place preseason ranking was the highlight for Liberty during today’s Big South Football Media Day event. Will Shepherd had four hits and drove in four runs, helping lead the No. 7 seed Liberty to a 9-3 victory over No. 3 seed Longwood. 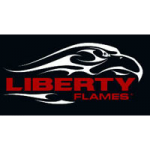 The Liberty Flames will be the No. 7 seed for the next week’s Big South Baseball Championship. No. 8 Charleston Southern was the final team to score in a back-and-forth battle on Saturday, edging Liberty, 31-24, at Buccaneer Field. With 44 seconds left on the clock, Quincy Taylor made his curtain call and put to rest a career that ended with one of the greatest basketball seasons in Longwood’s brief Division I history. Shaquille Johnson recorded his second straight double-double with 22 points and 15 rebounds to lead ninth-seeded Longwood to a 68-60 upset win over top-seeded Charleston Southern in the quarterfinals of the VisitMyrtleBeach.com Big South Championship Friday at The HTC Center. Longwood (10-22) rode 25 points from junior Shaquille Johnson to a first-round upset of eighth-seeded Presbyterian, 65-61, Wednesday afternoon at The HTC Center in the first game of the 2015 VisitMyrtleBeach.com Big South Championship. Badou Diagne scored 11 points and grabbed 12 rebounds to lead reigning Big South champion Coastal Carolina to a 72-59 win over Longwood Monday evening in Willett Hall. The victory clinches a first-round bye for the Chanticleers, who are in line for a No. 3 seed in the upcoming Big South Tournament on March 4. It was just one game ago that Longwood junior Leron Fisher, hobbled by an ankle injury, recorded his lowest scoring output as a starter this season. Playing on the injury, Fisher managed just four points on 1-of-7 shooting in a 65-64 loss to Charleston Southern on Saturday. Devante Wallace scored 16 points as High Point withstood Longwood’s second-half surge and downed the Lancers, 72-67, Monday evening at the Millis Center. VMI head men’s soccer coach Richie Rose announced his resignation as the program’s ninth head coach on Monday. Rose’s resignation becomes effective on Jan. 1, 2015. 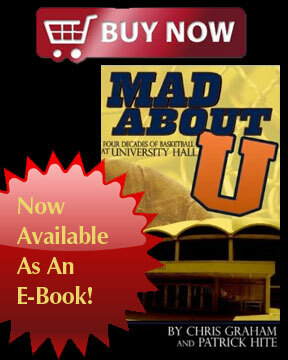 The UVA women’s soccer team received a No. 2 seed in the 2014 NCAA Tournament and will open play at home on Friday as it hosts High Point. VMI Head Baseball Coach Marlin Ikenberry will step aside to pursue an opportunity in private business, athletics director Dr. Dave Diles confirmed late Monday. The Liberty Flames pushed their winning streak to three straight games and remained unbeaten in Big South play with a 28-7 victory over Presbyterian Saturday afternoon. A gauntlet of non-conference games, including five contests against ACC and SEC teams, highlights the 2014-15 Longwood women’s basketball schedule, announced Friday by 13th-year head coach Bill Reinson. Navy played the entire game on the offensive, blasted two dozen shots on Longwood’s net and took advantage of a pair of early goals to sink the Lancers, 2-0, Tuesday evening at Glenn Warner Soccer Facility.